leaves are falling, time to sit back and let go, to a cosy autumn soundtrack. 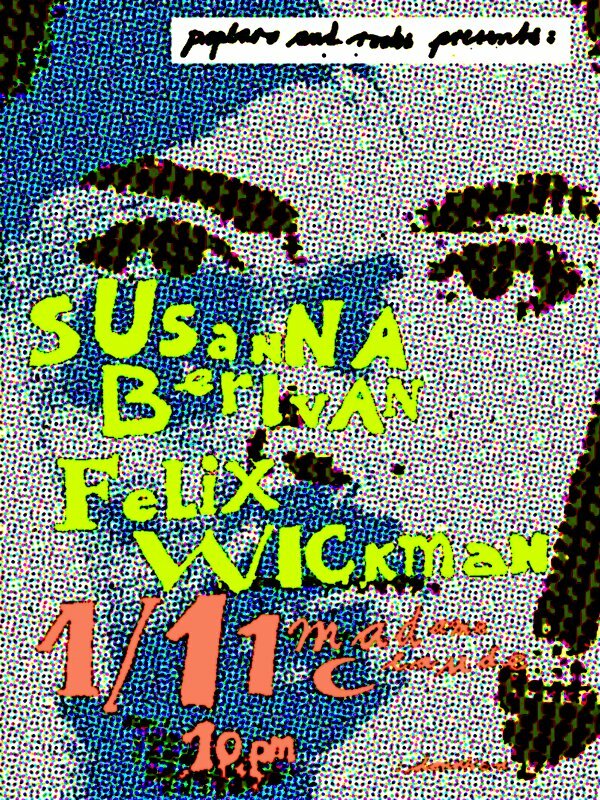 november moves in with felix wickman and susanna berivan. felix wickman is a swedish singer songwriter from stockholm. his music balances between acoustic and electronic, where a deep underlying electronic beat seems like forcing the soft, gentle intruments on top into a sphere of ambiguity about where the song is taking you; fragile voice mixes with dancy rythms. his first record „dry hands“ was released 2009, followed by „whatever her sins“ 2011. last year the two track album „mrs burke“ was released. felix was recommended by susanna berivan who will open up the night. she has been with us before and provided a splendid show with her soul, rythm and true blues. always playing a lot, solo or with band, it’s never too much having her a second time around. susanna berivan will have her first full length album out soon, which is already recorded waiting for the final master. so will be a video. stay tuned and watch her come out with more soon! november 1st, 10pm, madame claude. admission donation. on decks rad spin rotate club, our very selves.